This site is under redevelopment. Its content is from 1998, but we will be updating it in the near future. Natural erosion has given rise to a beautiful landscape referred to as "karst." 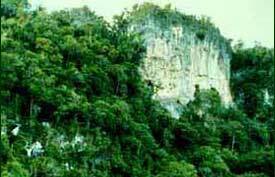 Limestone forest only occur where there are unusual soil conditions. 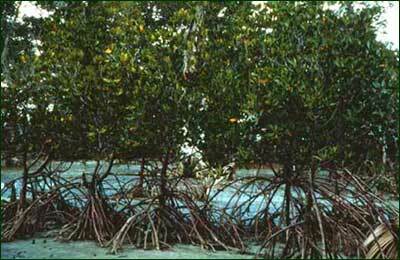 Mangrove forest can be found in coastal areas where sea water and fresh water mix. Due to the influx of organic material in the waters, biological productivity here is very high. Climate is largely responsible for shaping the four widespread and several restricted types of habitats that originally occurred in the Philippines. Scroll down to learn about the different types of habitat, or jump to specific habitats using the links on the right.